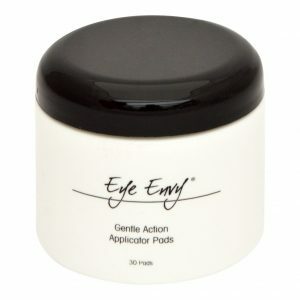 The Eye Envy applicator brush is perfect for working the powder into the coat to provide effective cover. 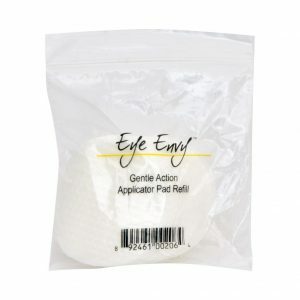 Eye Envy dry applicator pads are used to apply the Eye Envy liquid. 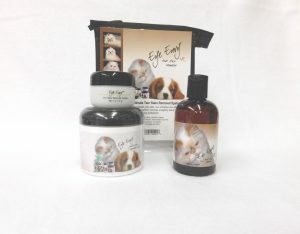 As they are dry pads, there is no wastage of liquid, as you would get if using cotton wool. Pre soak the pads in the jar, and they are ready to use. The Cat 2 Value Pack consists of a 2oz bottle of Eye Envy liquid, a 2oz jar of Eye Envy powder and a jar of Eye Envy gentle applicator pads. 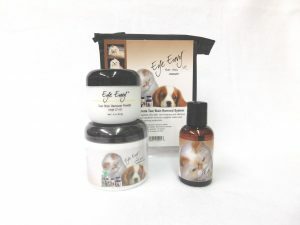 The Cat 3 Value Pack consists of a 4oz bottle of Eye Envy liquid, a 0.5oz jar of Eye Envy powder and a jar of Eye Envy gentle applicator pads.